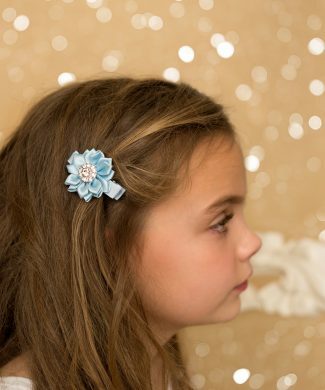 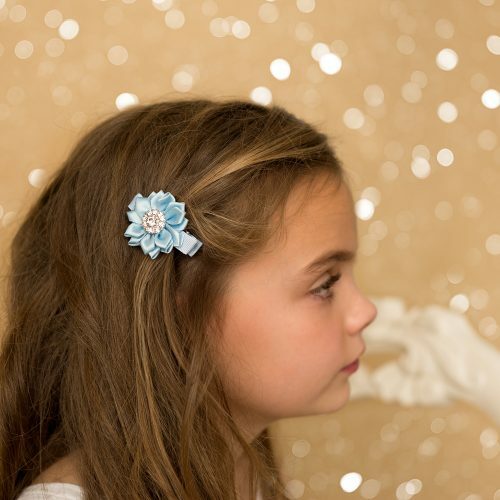 Blue satin flower with rhinestone button on an alligator clip. 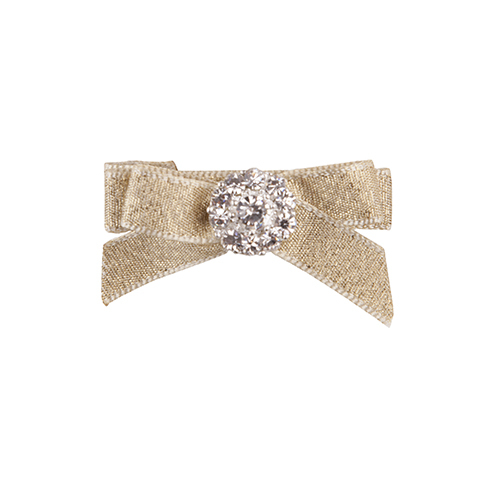 Gold satin flower with rhinestone button on an alligator clip. 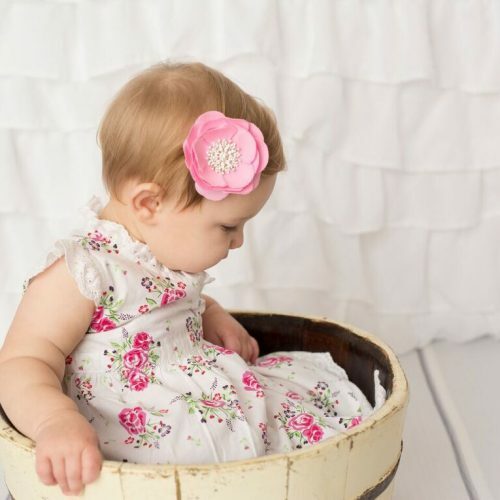 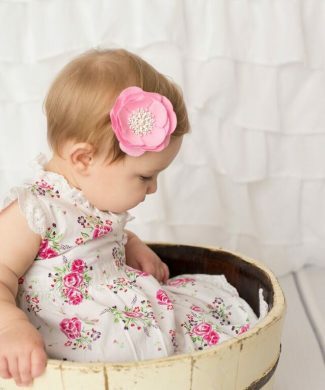 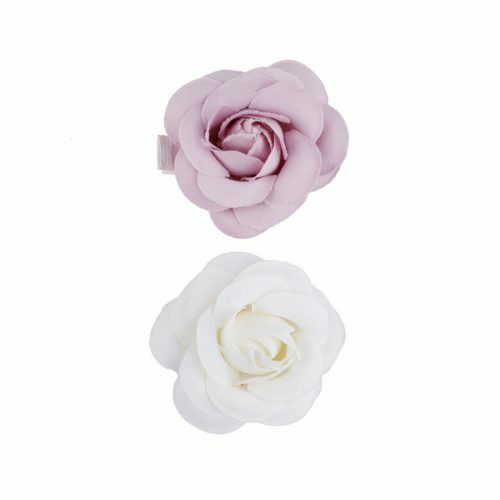 Tea rose flower on a clip. 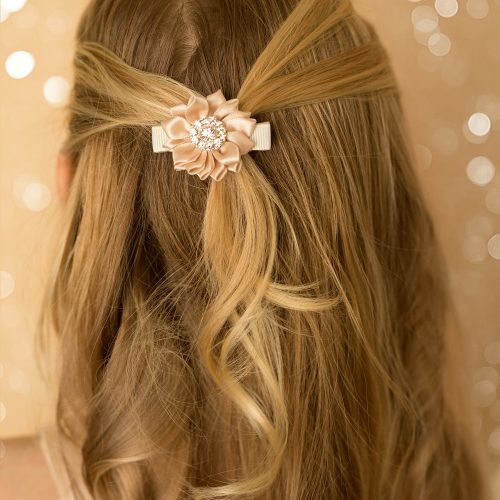 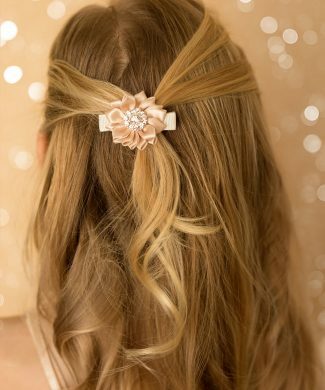 Elegant ivory rose on a clip. 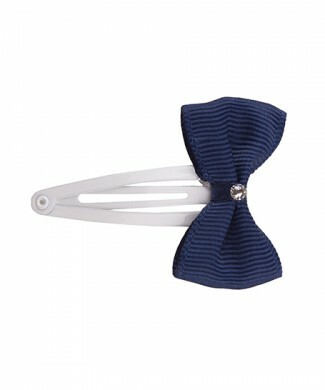 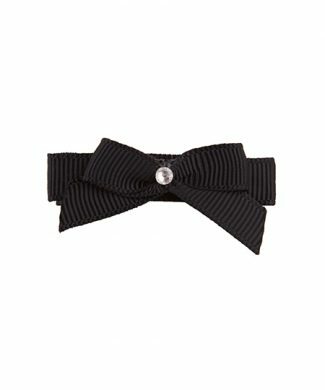 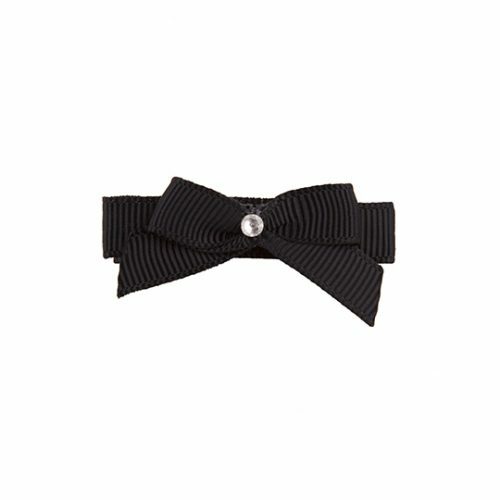 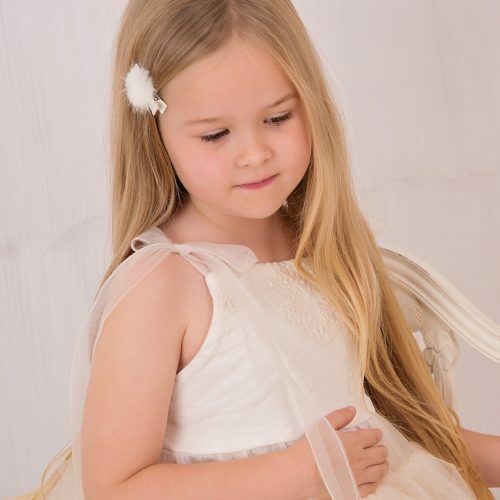 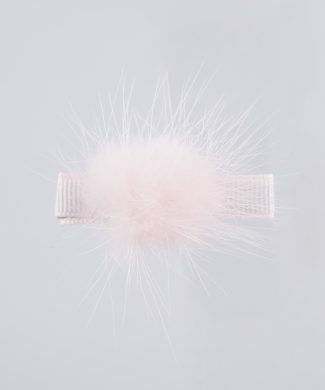 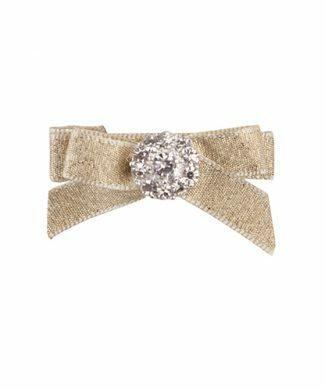 Grosgrain mini bow with Swarovski diamante- various colours. 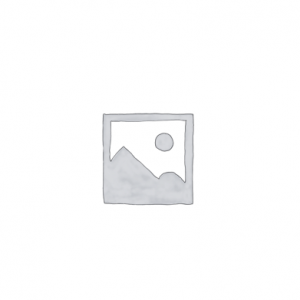 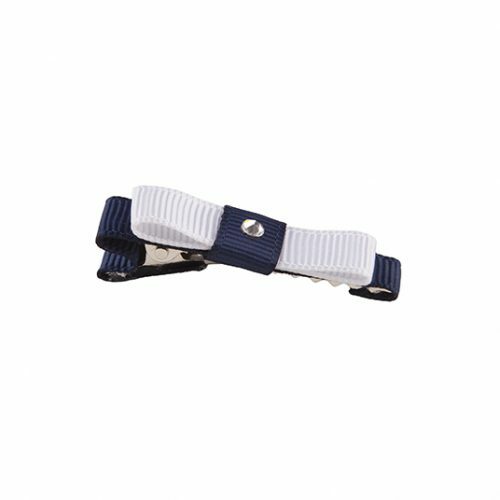 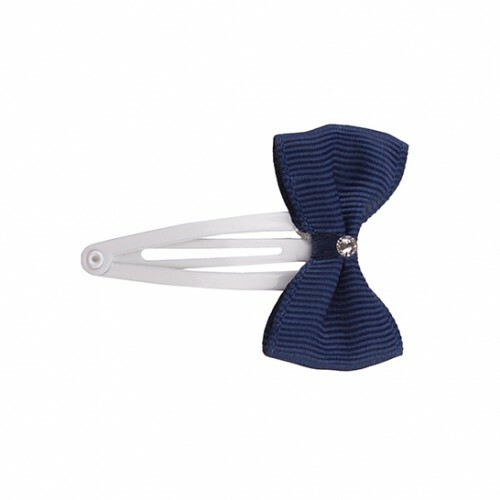 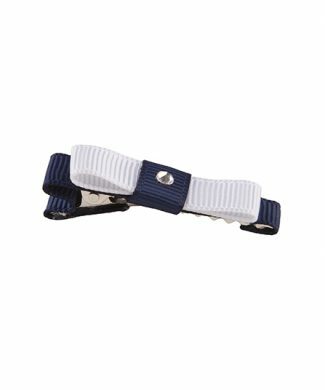 Small clip bow with Swarovski crystal – various colours. 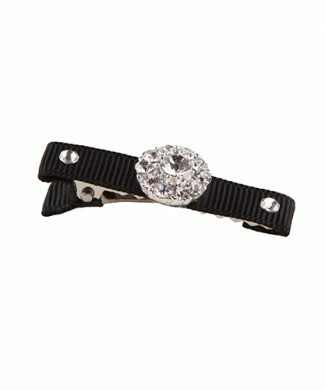 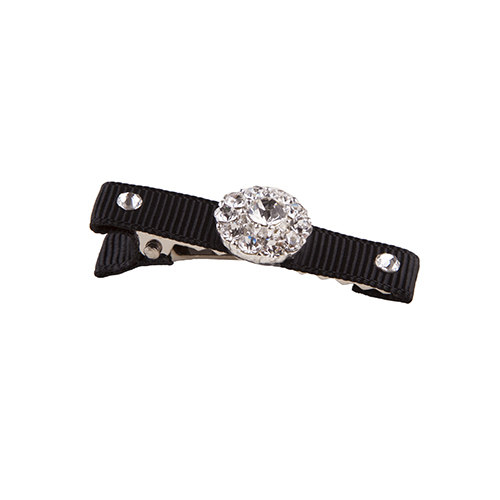 Grosgrain clip decorated with rhinestone and Swarovski diamante- various colours. 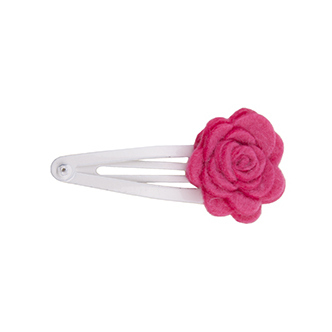 Fuchsia felt rose on a white snap clip.